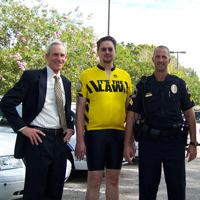 Jim Dodson Law partners with many cycling and safety related organizations in Florida to advocate on behalf of cyclists and give them a voice in the community. We work with our partners to provide an education, safety tips, and insurance recommendations for motorists and cyclists alike. Our goal is reduce the number of cycling crashes each year. We are proud to call the following organizations our partners in safety and hope to continually build more relationships with other groups to help strengthen and unite the many cycling communities throughout Florida. The Florida Bicycle Association is the voice of cyclists in Florida. The FBA was established in 1997, with the vision for Florida to be a state where bicycling is safe, respected and encouraged as a means of transportation and recreation. It's important for us as cyclists to belong to the FBA because they lobby for safe cycling legislation, which we need more of, and work with the FDOT, law enforcement and cycling clubs to make cycling safe and fun. Jim is a member and serves on the Board of Directors. He urges you to join, even if you are already a member of an FBA member organization, and help support the Florida cycling community. 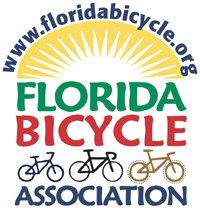 For more information about joining, please visit www.floridabicycle.org. Jim Dodson Law’s has partnered with the Friends of The Legacy Trail to help promote, maintain and enhance the Legacy Trail and it’s connector trails. The Legacy Trail is a 10.6 mile trail for cyclists, walkers, runners, and commuters that runs from the Historic Venice Train Depot in downtown Venice to Culverhouse Park in Sarasota County. Currently, the FLT is making an effort to extend the trail another 8 miles to Payne Park in downtown Sarasota. If completed, the extension will connect downtown Venice to downtown Sarasota and serve as a beautiful thoroughfare between the neighboring towns. 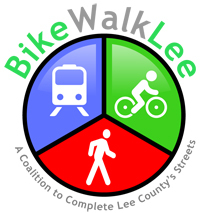 Jim Dodson Law works with BikeWalkLee to raise public awareness and advocate for complete streets in Lee County so all users including cyclists, pedestrians, motorists and transit riders can travel conveniently and safely. Lee County is a model community focused on the economic health of the community, the physical health of its residents, the environmental health of the region, and the quality of life for the entire community. 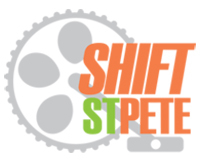 Jim Dodson Law has partnered with the non-profit organization ShiftStPete a group effort dedicated to creating and maintaining a healthy, vibrant and sustainable St. Petersburg by helping ensure that all cyclists and pedestrians have access to a safe, connected network of road, sidewalks and trails. 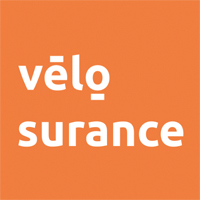 Velosurance is a bike-focused insurance company that specializes in policies to protect cyclists’ bicycles without affecting their homeowners or renters insurance rates. The policies start out at $100 year with the option to add additional coverage to protect the owner against many different types of losses. You choose the coverages a la carte to customize your individual policy. If you are concerned about your bike getting stolen or having to pay out-of-pocket repairs in case it is dropped or damaged in a collision then you should check out Velosurance. Jim does not work with or receive anything from Velosurance for spreading the word, but he highly recommends it to cyclists who have expensive bikes.